Hidden in the village of Hampton-In-Arden, the elegant grandeur of Hampton Manor promised a lot, once inside, the contemporary interior promised even more. 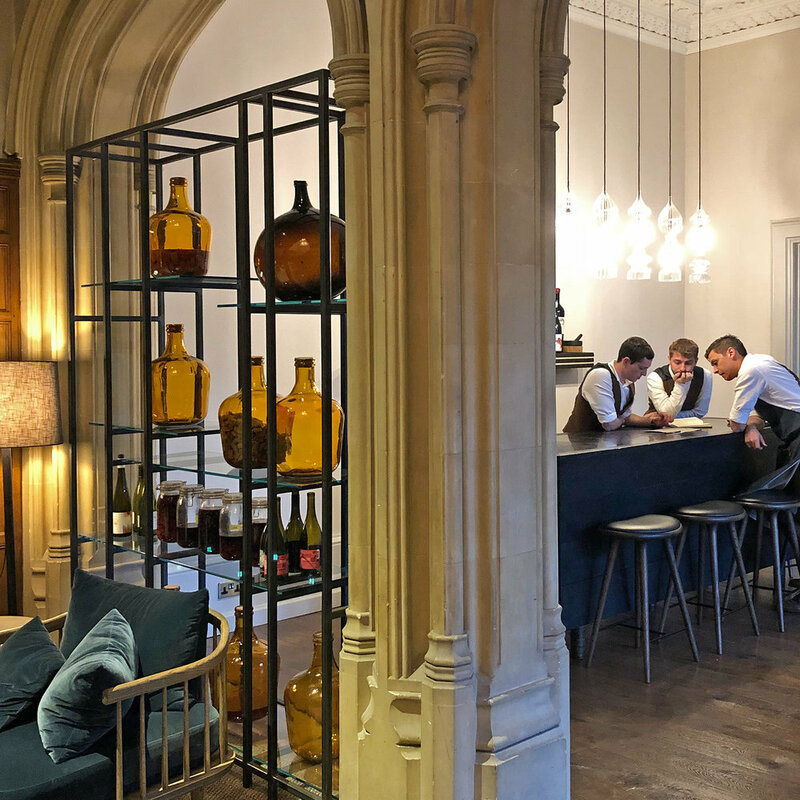 Described as a ‘Restaurant with Rooms, it combines a sense of pared back, Nordic simplicity, iconic furniture and subtle lighting, which feels both relaxed and refined. Hampton Manor don’t serve lunch, instead they offer a very civilised Afternoon Tea from 3pm, we arrived to find the exceptionally friendly staff finishing off a gathering around the Maker’s Table where they host reservation only drink’s tastings at set times throughout the week. We started our Afternoon with cocktails in the bar chosen from a fantastic and unique collection, seriously well curated drinks with fresh herbs to compliment the season. We then continued through to the Parlour - a grand room where we sat on comfortable sofas for Tea. 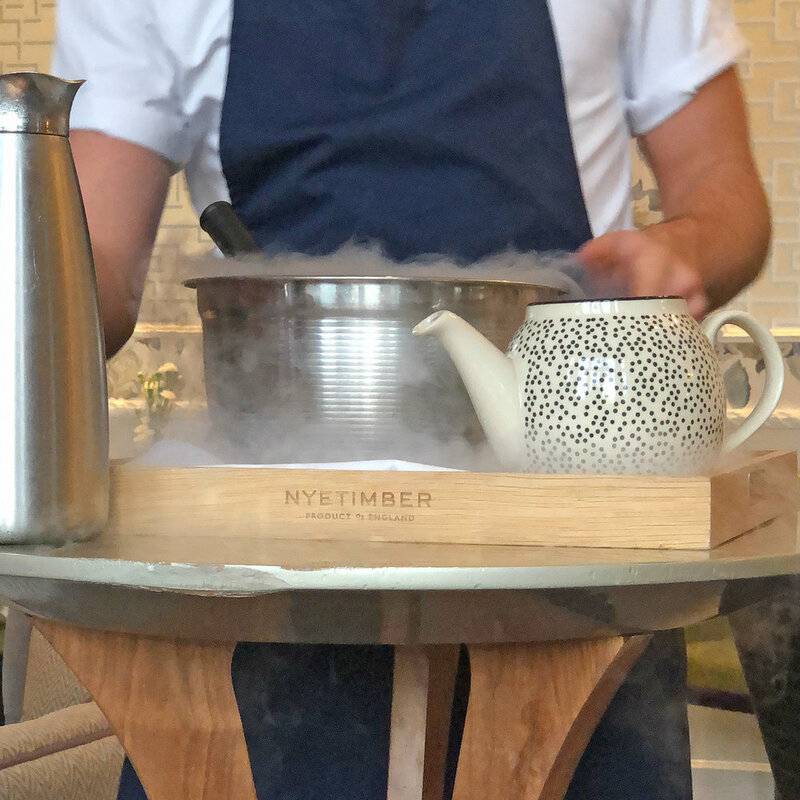 A theatrical introduction by one of the chefs, with a welcome Earl Grey granita made with liquid Nitrogen, followed by our savoury course - don’t expect delicate sandwiches though, as they won’t arrive. Instead, expect beautifully crafted, contemporary delights all based around the traditional Afternoon Tea flavours, Salmon, cucumber, Dill served on perfectly crisp ‘crackers’, the best sausage roll I’ve ever eaten, super smooth Duck liver parfait with greengage and Almond and a surprising ‘cheese on toast’ served warm with a soft, light cheesy whip and a brown sauce, perfection. Next, warm, biscuity scones, one savoury cheese with beetroot chutney and a wonderfully salty, home churned butter and a sweet fruit one with strawberry jam and clotted cream. A knowledgeable insight into a selection of Lalani & Co teas and a rest before moving on to the sweet courses, chocolate and sherry turned out to be delightfully smooth ganache and sherry jellies on a sweet cracker, whilst a deconstructed lemon meringue pie was a collection of sublime bite sized treats - lemon chocolate, meringue marshmallow and the lightest, buttery crumbly pasty on top of a lemon gel. Afterwards, we asked for a quick tour and happily got shown around this wonderful manor house, Peel’s Restaurant was exceptionally well designed with small, low booth tables, gorgeous wallpapers and elegant pottery bowls commissioned and handmade from clay found within the grounds of the manor, touches like this made Hampton Manor feel very special indeed. 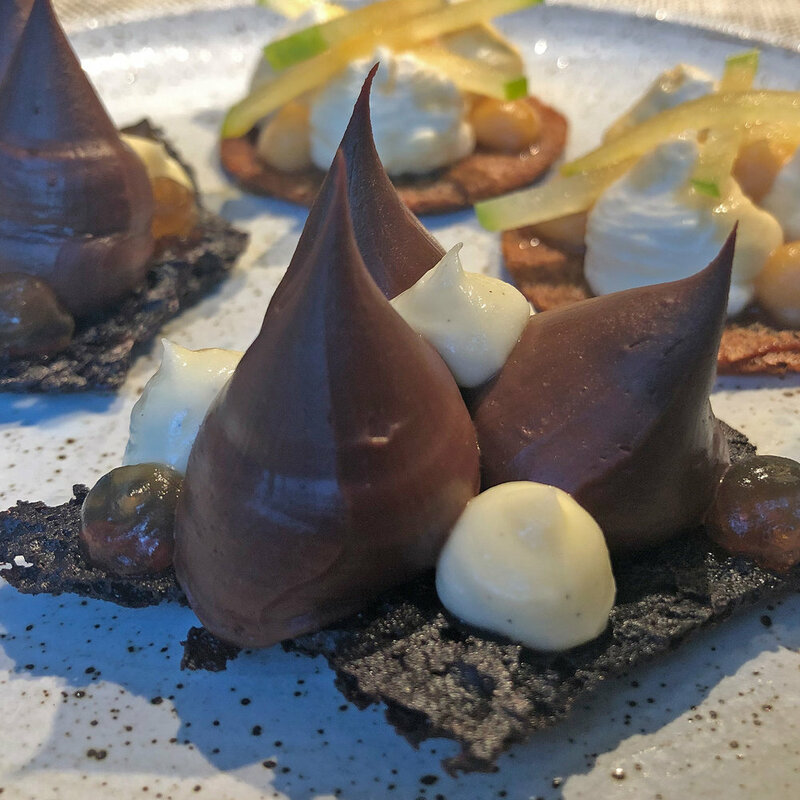 From our first experience, Hampton Manor truly deserves recognition and its Michelin Star status, it left us with great food memories and a need to return for dinner and quite possibly a room for the night.